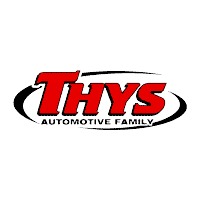 Thys Automotive Family is committed to serving the Eastern Iowa community with three great locations. Our two Chevrolet showrooms are located in Blairstown and Toledo, and you can find our Chrysler Dodge Jeep Ram store in Belle Plaine; this store is also home to our Business Link and Commercial Truck Center. Our commitment to serving our community doesn’t stop at helping you find the new or used vehicle of your dreams. Each of our three dealership locations are equipped with a service center, and dedicated professionals who are ready to go the extra mile to help keep your vehicle running in prime condition. Because our very own Dealer Principal and General Manager come from a technician background, we’re able to take a different approach to service, and you can rest assured your vehicle is in capable hands. We greatly appreciate our loyal customers, both local and from around the country! We know you have a number of choices when it comes to car shopping, and we are grateful that you continue to choose the Thys Automotive Family. It is because of you that we are able to give back to the community that we love. Be sure to connect with us on Facebook to stay up-to-date on all things Thys!